Canadian doctors spotted this image of a face in the X-ray of a testicular tumor. 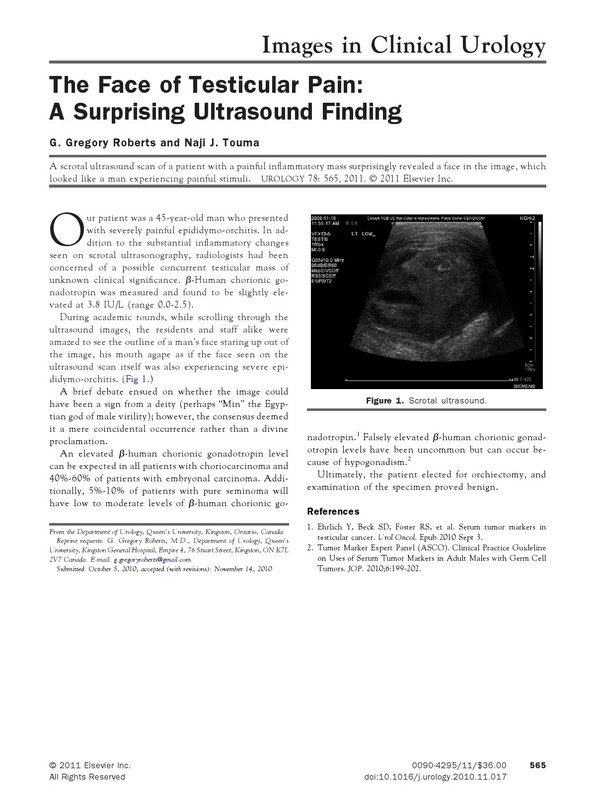 The docs published news of their interesting find in Urology. More from the Daily Mail. More images that look that things they're actually not from the Huffington Post here.